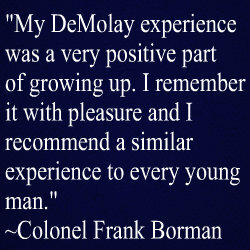 PROUD TO BE THE LARGEST CHAPTER IN COLORADO DEMOLAY! We meet every 2nd and 4th Thursdays of each month at 7:00 pm in Co. Springs, Colorado. We handle business and get a lot of work done, but we still have fun meetings and plan for great events! WHAT IS COLORADO SPRINGS CHAPTER UP TO NOW? Colorado Springs Chapter has had a very busy summer! During the month of July, we held an Installation of Officers, attended Convention, and sent seven members to a DeMolay leadership conference. August continued to prove just as busy as July! We started of the month attending the State Kick-Off party at High Plains Chapter where nearly all of the members from our Chapter were able to attend and some even brought prospects! The following weekend several members joined in celebrating the newly inducted Legionaries at the Legion of Honor Induction in Denver. Several of our chapter members helped perform ritual parts for this and represented Colorado Springs well! Members also attended the local Al Kaly Shrine BBQ where they were able to visit and get to know members from the adult Masonic Community as well as work with Jobs Daughters Bethel #31 to help with setup and take down for the event. The last weekend of the month they had the opportunity to celebrate the wedding of one of the Squire member’s mom and perform and Arch of Steel for her on her special day! 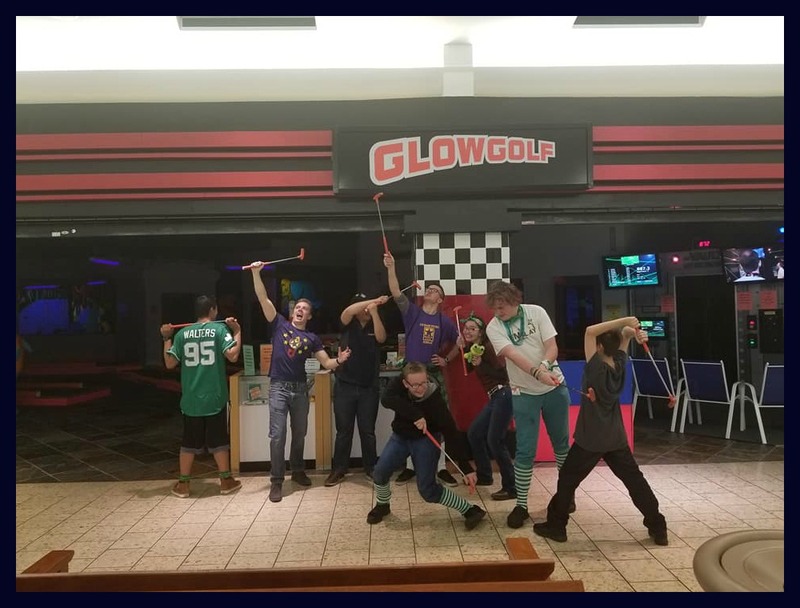 Not only have members been active attending events and supporting others but they have also been busy with preparations for our annual dinner theater silent auction fundraiser. If you don’t have plans for September 1st, we would love to have you attend our dinner and silent auction event titled “Illuminate”. A delicious dinner has been arranged to go along with an amazing and unique performance of the Ceremony of Light, a beautiful ritual piece that talks about the precepts of DeMolay and the importance of each member! Tickets are still available so be sure to reach out to a member of Colorado Springs Chapter to get yours! 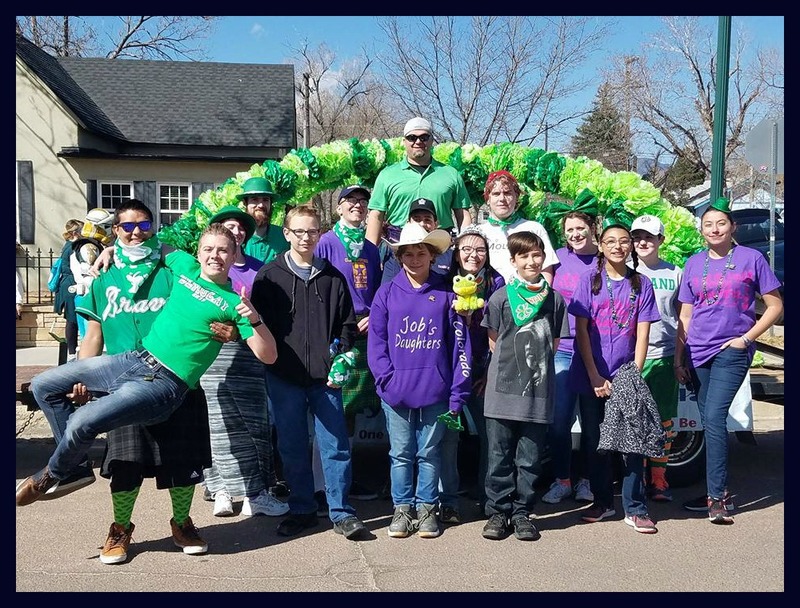 In addition to the fundraiser members of Colorado Springs Chapter will be participating in a local parade called the Fountain Fall Festival. On September 3rd they will get to march in a parade, share DeMolay with others and enjoy building Masonic relations as they walk alongside other Masonic organizations. On September 8th they will be performing an Arch of Steel for the Installation of Officers for Fountain Valley Order of Eastern Star members. Finally, at the end of September that will be participating in another community parade where they will march and then have an open booth to share with the community what DeMolay is! Watch for more great events coming up soon!